Cippy is an enthusiastic and engaged leader focused on providing a high-level customer experience through employee engagement and a commitment to excellence. Currently the Director of the Consumer Care Center with Banner Health, one of the largest, nonprofit health care systems in the country, she is responsible for driving performance across multiple service lines. 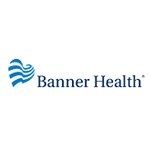 Banner Health is one of Arizona’s largest non-profit employers, operating 28 hospitals and several specialised facilities across 6 states. Its Customer Care Centre is a unique, specialised operation, with social media teams, customer care teams and a centralised room service for patient food orders that is responsible for 11 hospitals. Along with its centralised call centre, Banner Health has adopted digital self service tools and social media interaction as a result of changing customer needs for care and service. But as a non-profit service, careful moderation of channels, services and the need for culture change and engagement are necessary to consistently uphold customer service expectations and organisational values, particularly in an age when customer contact is now more public. Check out the incredible speaker line-up to see who will be joining Cippy.